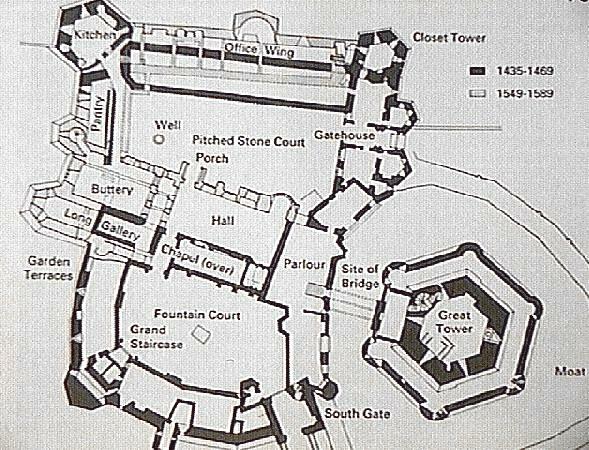 Below is a ground plan for Raglan Castle from the Cadw Guidebook. The ground plan is a "clickable image map," which means that by clicking on different areas of the map you'll be taken to pages providing close-up details and explanations for that section of the castle. Take our Virtual Tour of Raglan Castle!